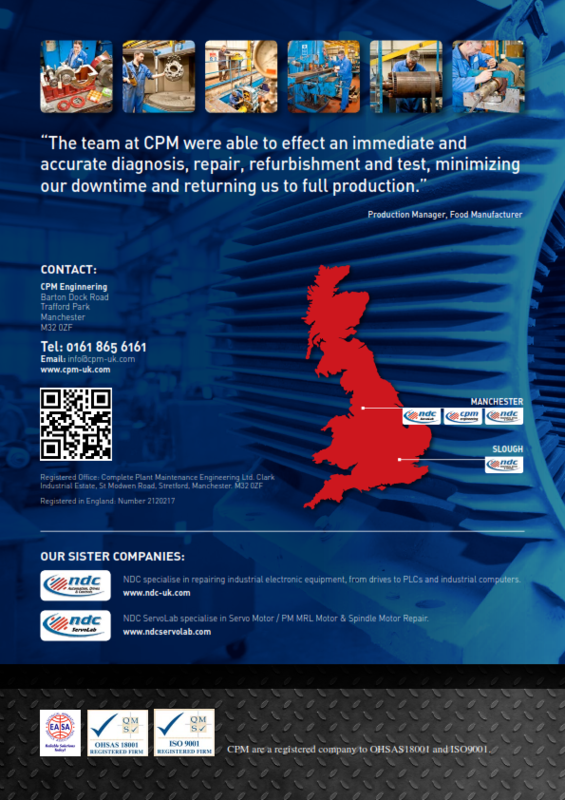 CPM Engineering are a Manchester based company specialising in electro-mechanical repair and maintenance engineering services for your rotating electrical and mechanical assets. 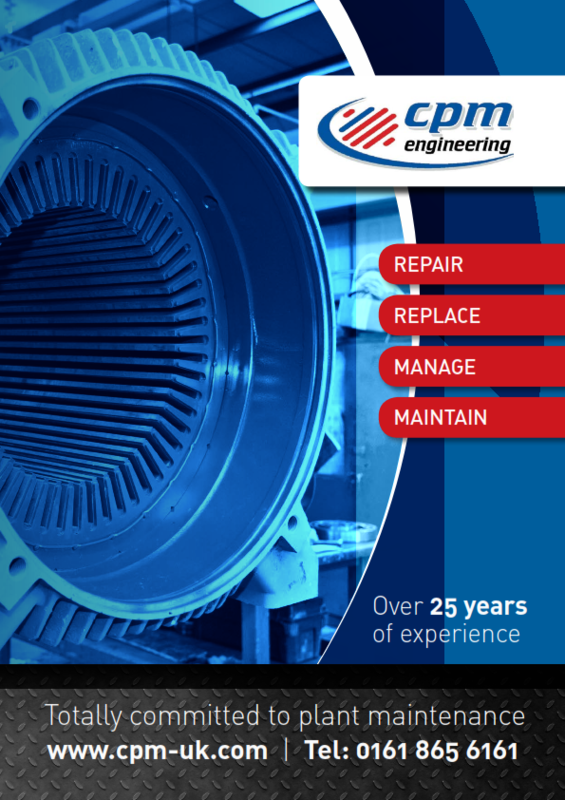 Our engineering services include: – Repairs. 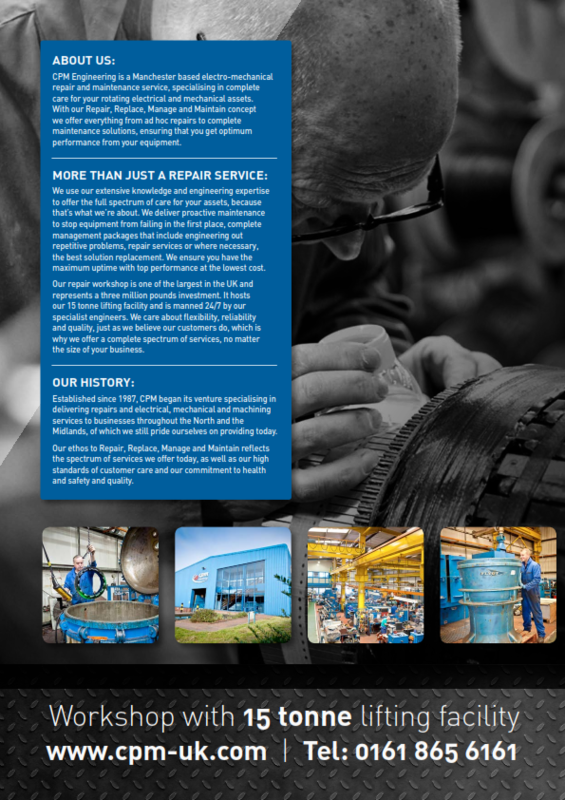 – Replacements, Refurbishments and Re-manufacturing of Parts. – Maintain Services – Management Services – Complete Asset Management Programmes. We’re experts in the following equipment. If you can’t see what you are looking for, let us know and we’ll do our best to help you! Equipment: – Conveyors. – Cooling Towers. – Electric Motors including ‘Ex’ Machines. – Fans. – Gearboxes. – Heat Exchangers. – Industrial Pumps. – Mechanical, Machining and re-manufacturing of parts. – Switchgear. 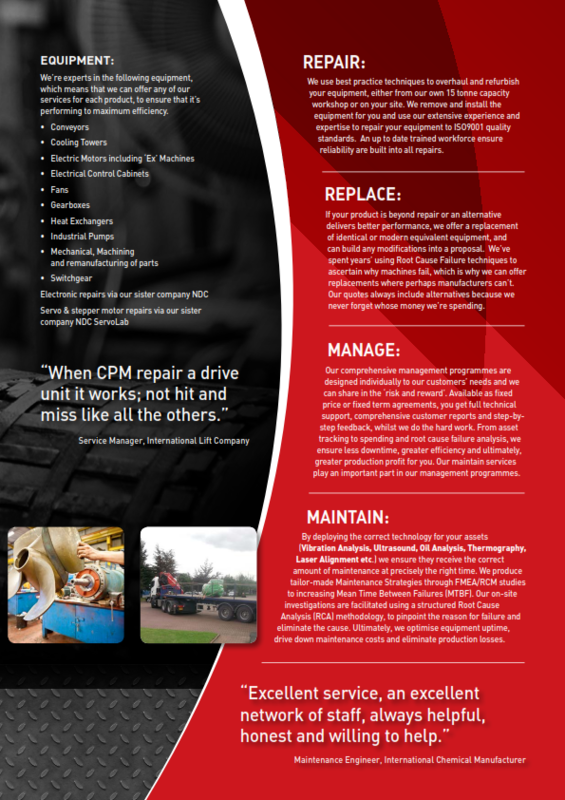 Download the full brochure here or view the full brochure below. Electronic repairs are offered via our sister company NDC. Servo & stepper motor repairs are offered via our sister company NDC Servolab.